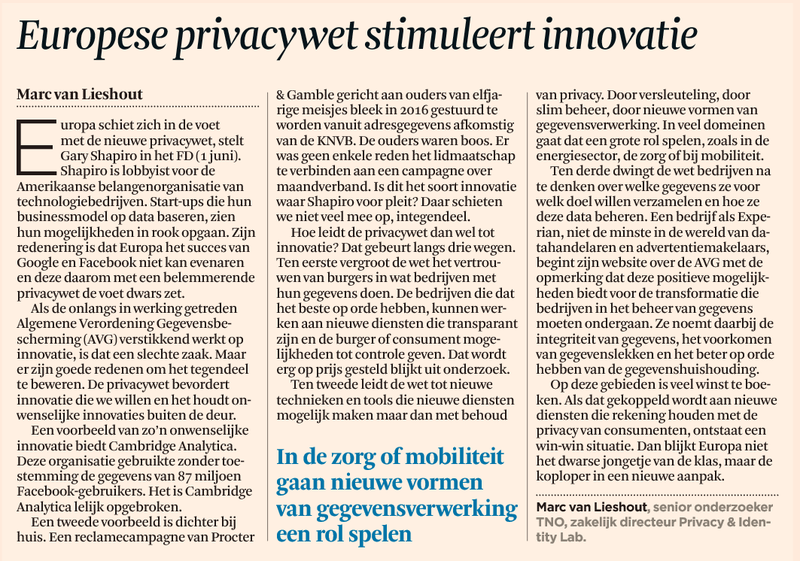 On June 19 2018, the Dutch PI.lab organized a roundtable to discuss two new concepts: Home 2.0 and digital home, proposed by the VICI team from TILT (Tilburg Institute for Law, Technology, and Society) for better privacy protection in the increasingly digitalized and hyper-connected home environment. Around thirty participants, including academics, law enforcement agents, ICT experts, lawyers and policy-makers, reviewed the weakening home protection in the age of ubiquitous data, and explored the feasibility and configuration of the two concept(ion)s. The majority shared the view of the necessity for re-conceptualizing home as a legal concept, despite some disagreement on how this is best done. This short paper is meant for providing a brief summary of the roundtable discussion with some reflections, and to offer some policy recommendations for improving home and home privacy protection. Jaap-Henk Hoepman: Relevance of Blockchain for the election process. Report to the Minister of Internal Affairs. (Dutch only). The report on blockchain is part of a larger package of findings Minister Ollongren presented to the Dutch Parliament, concerning innovations in the election process. Jaap-Henk Hoepman: Privacy Design Strategies - The Little Blue Book. The Little Blue Book presents in a concsie manner the eight privacy design strategies that help implementing privacy by design. It covers four technical and four organisational principles. In response to an interview published with Gary Shapiro, CEO of the US Consumer Tech Organisation, arguments for considering the privacy promoting effect of the GDPR are presented. This is Nesta’s first report for DECODE (DEcentralised Citizen Owned Data Ecosystem), an EU funded project that will create tools that put individuals in control of whether they keep their personal data private or share it for the public good. PIlab contributed to the project. IRMA (I Reveal My Attributes) is een state-of-the-art open source identity platform waarin gebruikers zich middels een app kunnen authentiseren op basis van één of meer kenmerken vanuit hun verschillende rollen (contextuele authenticatie). The annual conference of the PI.lab took place December 7th in Utrecht. Theme of this year’s conference was ‘GDPR countdown’. The conference started with a keynote presentation by prof Mireille Hildebrandt and ended with a keynote by prof Ronald Deibert.